Football season is in full swing! Here in the south, this is an exciting time of the year. Unfortunately, according to Stop Sports Injuries (SPI), football leads all other sports in the total number of personal injuries. 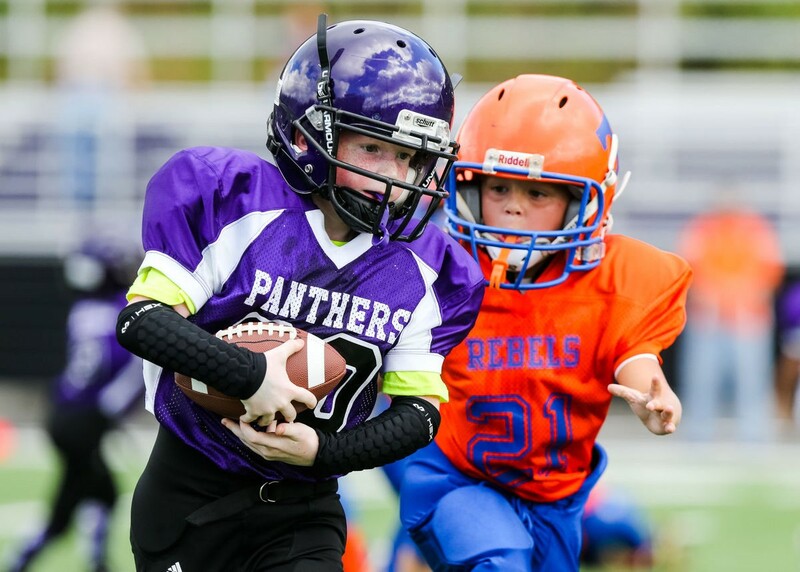 USA Football estimates that there are approximately 3,000,000 youth participating in tackle football across the country, and nearly 10% of those will be injured in a single season. Quite a bit of research has been performed on changes in the brain because of concussion. Recently, an imaging study featured in the journal Radiology showed that players from 8 to 13 years of age who have had no concussion symptoms still show changes associated with traumatic brain injury. While football injuries cannot be eliminated, “playing it safe” will help reduce the risk of injury in young football players. Make Conditioning and Strengthening a Priority. All players should warm up and cool down before every football practice and game. This allows them to increase their strength and flexibility and reduce the risk of muscle strain and other soft tissue injuries. Use Proper Safety Equipment. All players should wear protective equipment (helmet, shoulder pad, knee pad, thigh pad, etc.) during both practices and games. Additionally, all protective equipment should be the proper size for the player’s height and weight. Prepare for the Heat. This is especially important in the south where football practices and games often take place during the hottest months of the year. Excessive sweating drains the body of salt and water. Keep players well-hydrated by having them drink water before, during and after playing football. Offer frequent rest periods during times of extreme heat. Recognize and Respond. Parents, coaches and players should be able to recognize signs of the more common football injuries, such as concussion and heat illness, and respond appropriately. Concussion is one of the riskiest and most difficult injuries to diagnose, and if left untreated, may lead to severe neurological defects later in life. Signs of concussion may include, but are not limited to, headache, dizziness, nausea, loss of balance, drowsiness, numbness or tingling, difficulty with concentrating and blurred vision. The State of Georgia takes concussions in its youth athletes very seriously. O.C.G.A. § 20-2-324.1 (2017) requires that any youth athlete who exhibits symptoms of having a concussion be removed from the game, competition, tryout or practice and be evaluated by a health care provider; and if a youth athlete is deemed by a health care provider to have sustained a concussion, the coach or other designated personnel shall not permit the youth athlete to return to play until the athlete receives clearance from a health care provider. Likewise, parents, coaches and players should familiarize themselves with the signs of heat illness. Generally, heat illness follows a continuum from minor heat cramps to life-threatening heat stroke, and the key is to recognize and treat heat illness early. Youth football coaches should adopt practice modifications and employ strategies to acclimate players to the heat, along with a fluid replacement strategy in anticipation of young players who begin practice already dehydrated. When football injuries are the normal result of a football practice or game, there is probably not any type of legal claim for compensation. However, there are certain instances, such as when specific protocols are not followed or equipment is defective, that may lead to a viable, personal injury claim. If you or a loved one has suffered a football injury because of someone else’s negligence, you may be entitled to compensation. If you would like to discuss your potential claim, contact Bass Law to schedule your free, no obligation consultation with Attorney Dondra Bass O’Neal. You may contact us directly through this website or by calling 912-344-4294.